Our product range includes a wide range of courier bags. Our esteemed clients can avail from us an exclusive range of Courier Bags. This is available in custom sizes and can be availed at reasonable prices. 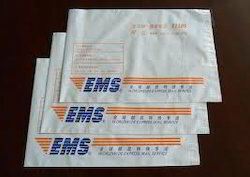 These are widely used for courier purposes and thus protect the contents efficiently. These Courier Bags available in Poly are waterproof and efficiency and resistance to corrosion. We customize our products as per the specification of the client's requirements. We offer our services at cost effective prices.